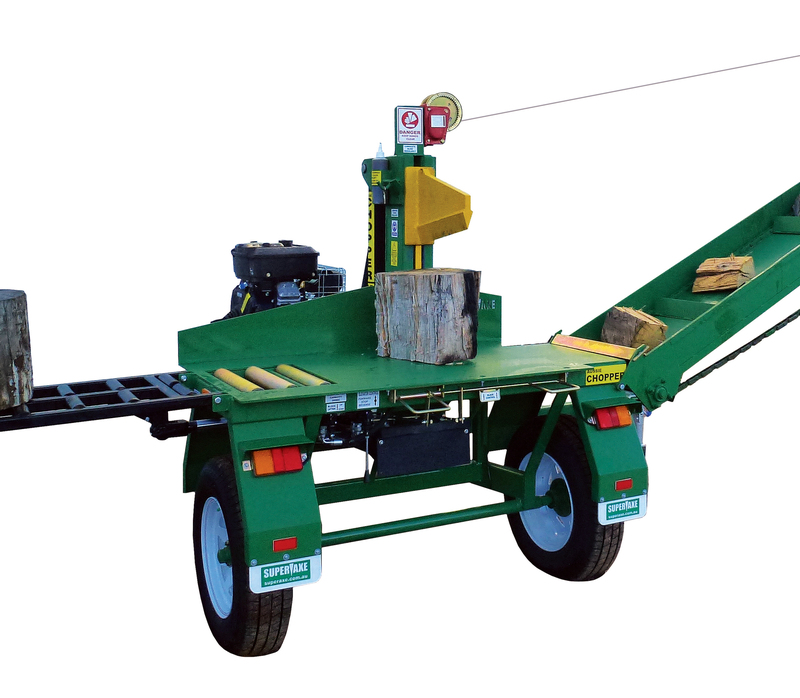 The WS4150 is fast, powerful & highly productive, making it the ideal solution for splitting large volumes of firewood. 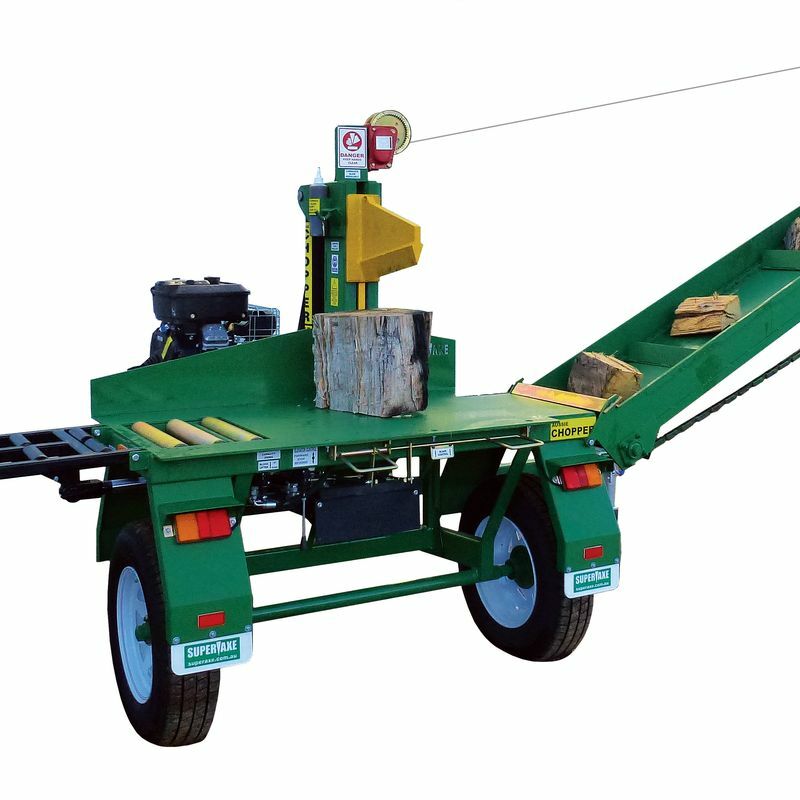 The WS4150 is the most powerful machine in the range with extra features built in to ensure large volumes of firewood can be split with ease. 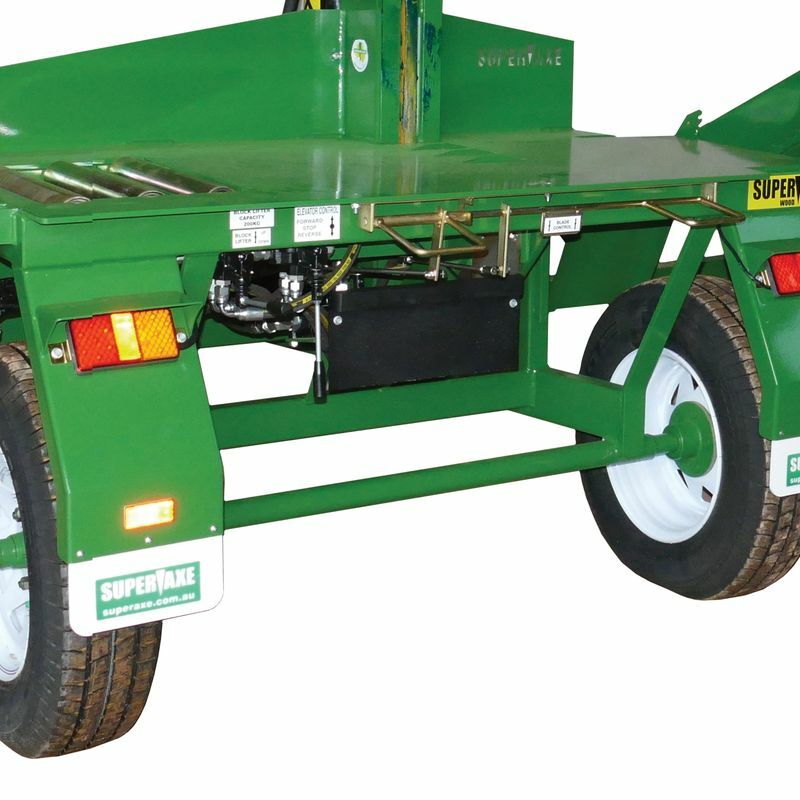 Standard features include a 18hp engine, 200kg capacity hydraulic block lifter, larger bench area, offset splitting head, longer blade, more rollers for easy block manoeuvring and the innovative double handed control system for safe and easy machine operation. A 360mm straight blade is fitted as standard, with optional Tee or Cross shaped blade for three or four way splitting. See specs for details. 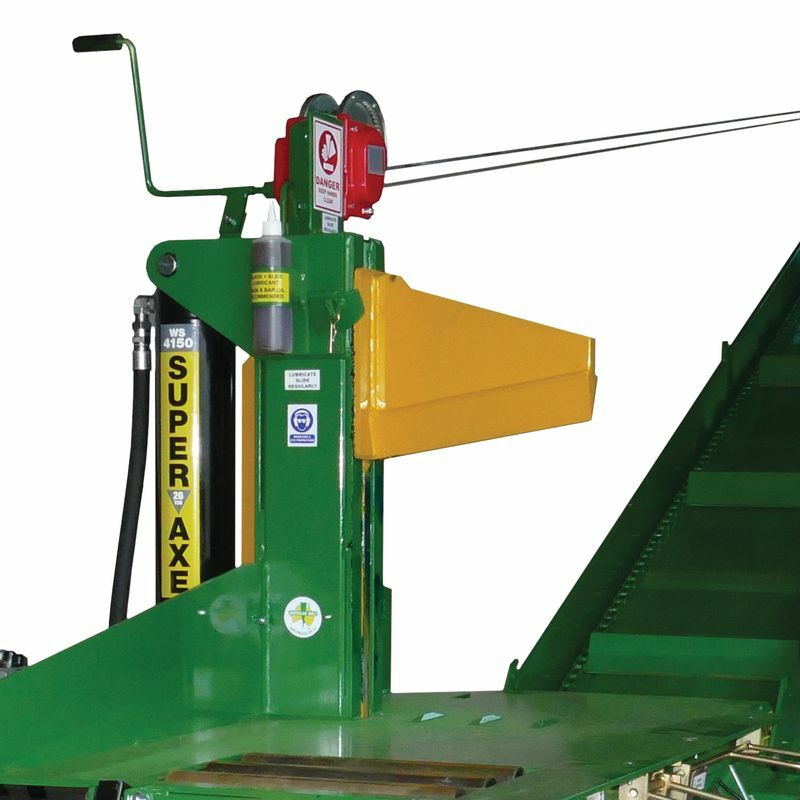 Couple with optional infeed hoppers and/or outfeed elevators for even greater output. ENGINE: 18hp V-Twin Vanguard with electric start. Features include pressure lubrication, replaceable oil filter, large fuel tank & high fuel efficiency. PUMPS: Proven American & Italian 2 stage hydraulic pumps with auxiliary pump for block lifter and optional elevator. RAM: High quality Australian made 4 ½ inch ram with 3 inch rod for quick blade return. Develops genuine 26 tons of splitting force. HYDRAULIC HOSES: All double wire rated ¾ inch hydraulic hoses. STANDARD BLADE: Vertical sliding blade design gives superior splitting performance and long life with minimal maintenance. 360mm cutting edge. BLADE OPTIONS: Cross or Tee blade for three or four way splitting. BLADE CONSTRUCTION: Blade and slide surfaces made from high tensile Hardox 450 high. 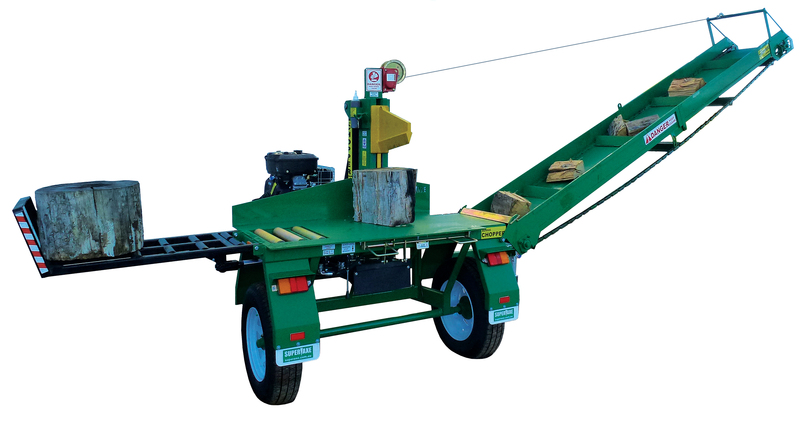 OFFSET SPLITTING HEAD: Reduced distance between splitting head and edge of the machine to maximise efficient disposal of split firewood. 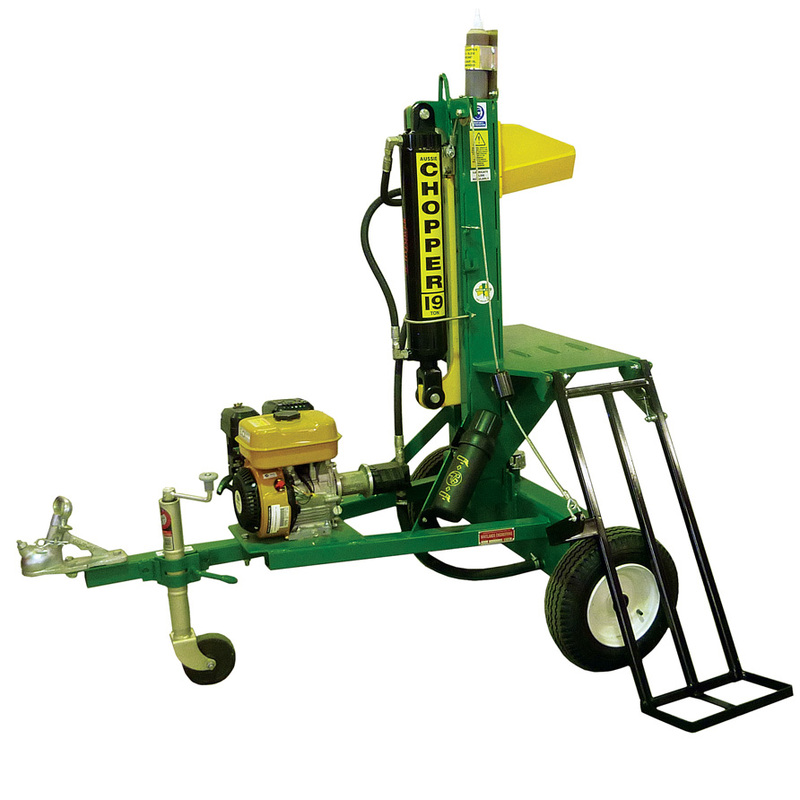 ERGONOMIC DESIGN: Ideal bench height & block lifter ensures the operator can work with a straight back with minimal bending or straining. 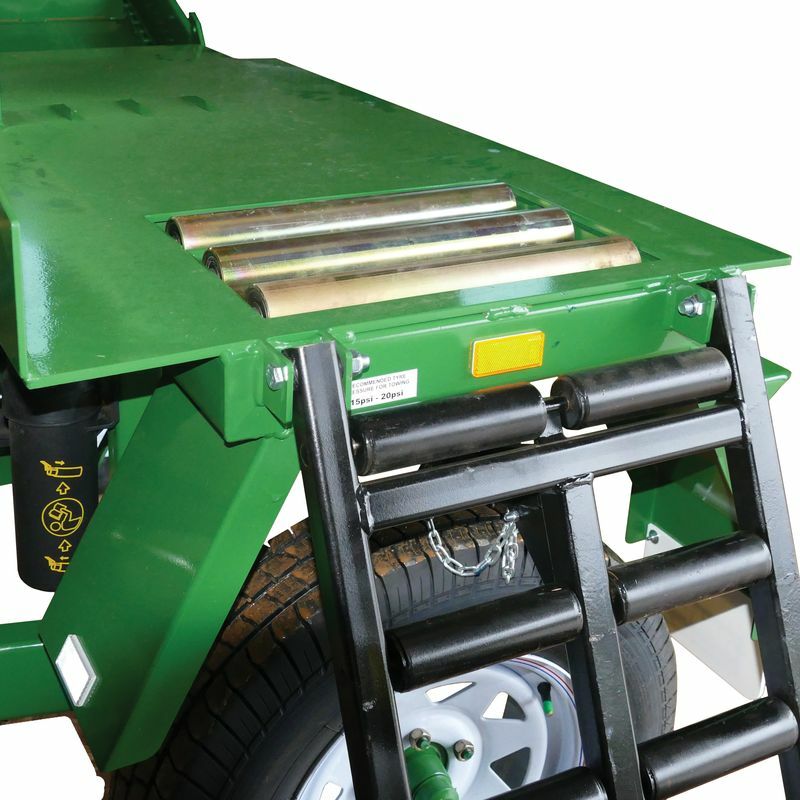 EASE OF USE: Easy splitting with in-table rollers & ample room to move blocks. OTHER OPTIONAL EXTRAS: Engine cover & hour meter. TRADING TERMS: A deposit is required to confirm your order. We require payment in full before the machine is collected or freighted.